The chic Retro design and styling of the Russell Hobbs Retro Kettle is packed with modern features that would be hard to match in other kettles in class. As well as having lots of visual appeal it brings you a host of practical features that will make you wonder why all kettles aren’t made this way. If you usually make yourself busy in the kitchen while you’re waiting for your kettle to boil, it’s time to take it easy. The Retro Kettle has a rapid boil feature that lets you boil a cup of water in just 55 seconds*. This is particularly ideal if you need hot water in a hurry or you’re just making one cup. 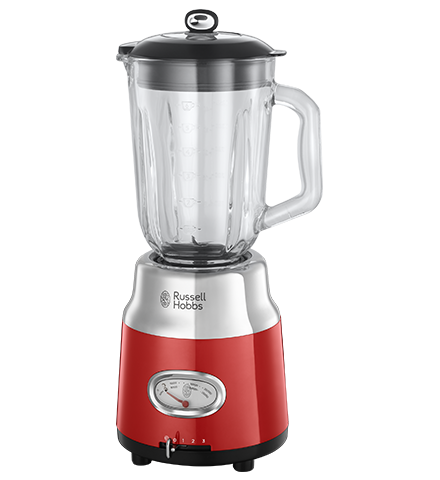 With 1.7litre capacity, it’s big enough to make up to six cups, making it a great choice for family homes. 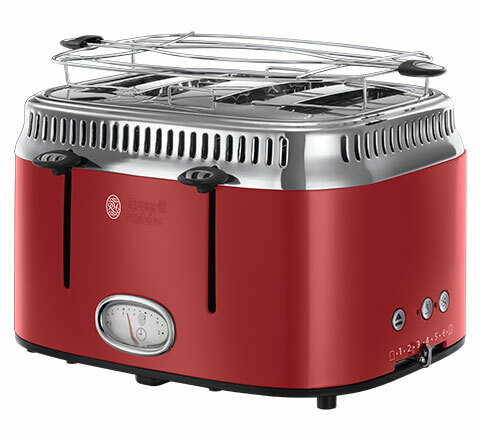 It features a Rapid Boil Zone for 1/ 2/ 3 cups so you can decide how much water you use – and be amazed by how fast your water boils. 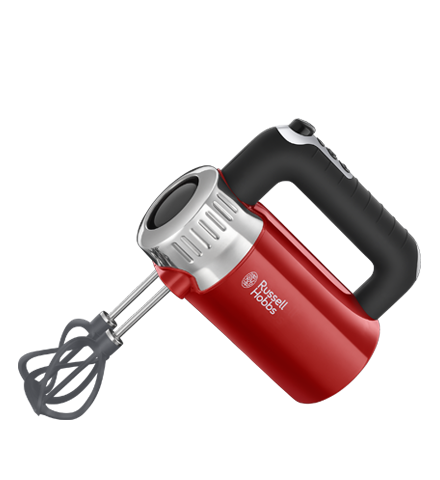 The kettle also benefits from a perfect pour spout so all of the water goes into the cup with fewer splashes and spills on your work surfaces. 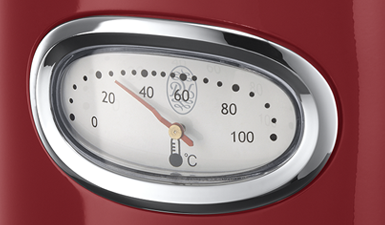 One of the Retro Kettle’s charming design features is its Temperature Gauge. It allows you to check that you’re heating your water to the optimum temperature for your drink. For example, drinks such as green tea and herbal infusions taste better when made with water at temperatures between 60-80 degrees Celcius. The Retro Kettle has a handy 360° base so it can be comfortably used by right and left-handed people. And to keep your work top clutter free, the base has integrated cord storage so it can be tidied away when it’s not in use. With a range of clever design features and a stylish high gloss and stainless steel casing, the Retro Kettle is sure to make a statement of style at the heart of your kitchen. The stylish temperature gauge shows you the temperature of the water inside the kettle – perfect if you’re making drinks that benefit from water at a lower temperature. 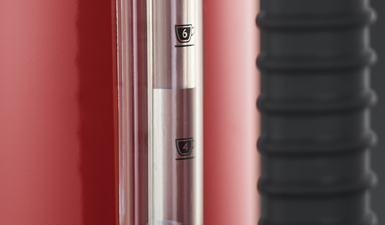 Subtle and nicely designed to allow you to check water levels without having to lift the lid to see how much is going in as you fill.